[ PRE - ORDER ] MNL48 Aitakatta - Gustong Makita! MNL48 will soon release their debut album this October, but you can secure a copy HERE before its release date by pre-ordering the album with 1FREE handshake event ticket on September 24, 2018 at Hall Hallo Mall website. 4. Shipping of items will start on the 1st week of October 2018. 5. Pre-orders will be prioritized before the album's official release online and in record stores. 6. After the pre-order duration, fans can purchase the album online and at Odyssey music store nationwide. After the successful release of MNL48 “Aitakatta – Gustong Makita” music video, MNL48 Senbatsu members performed at the first Manila Idol Matsuri held last Sunday, September 2, 2018 at TIU Theater, Makati Square. Manila Idol Matsuri 2018, dubbed as the biggest idol event in Manila, gathered some of best Japanese idol-inspired Filipino groups and their fans for a day of live performances and fun activities. The event was organized by The Daily Manila Shimbun, a Japanese broadsheet based in the Philippines and hosted by Japh Dolls, a half Filipina-Japanese girl group, attended by more than 400 fans who came to witness the performances of 15 indie idol groups from all over the country and the much-awaited performance of MNL48 Senbatsu members: Sheki, Abby, Sela, Tin, Alice, Ella, Ash, Gabb, Jem, Sayaka, Faith, Lara, Grace, Quincy, Alyssa, Erica. Aside from the actual show, there were different booths around the venue for fans to purchase official merchandise of their favorite idol groups which includes two MNL48 booths. The fans excitedly visited the said booths to get hold of MNL48 items and participate in the “Photocard Gacha”, an exciting and tricky photocard selling wherein customers will have to pick from a set of random photocards, which includes their Oshi’s photocard, hoping to choose their preferred set. For the main show, MNL48 Senbatsu members graced the event for a special performance as announced last August 25 on Manila Idol Matsuri’s and MNL48’s official Facebook pages. For their first song, the girls performed their debut single “Aitakatta - Gustong Makita” followed by “Skirt, Hirari - Umiindak na Saya” and “Sakura no Hanabiratachi - Talulot ng Sakura” which all earned loud cheer from the audience, and for the event’s finale, the 15 idol groups who performed during the event joined MNL48 Senbatsu members on stage and sang “Aitakatta - Gustong Makita”. Before leaving the event, Sheki, Abby, Sela, Alice, Ash, and Faith visited the MNL48 booths to personally extend their gratitude to the fans who came to watch and support and even sold some of the merchandise themselves. Another AKB48 popular song Skirt, Hirari is translated into “Skirt, Hirari – Umiindak Na Saya” and performed live by MNL48 Senbatsu for the first time on August 25, 2018 at ABS-CBN’s It’s Showtime. MNL48 Senbatsu members performed debut single “Aitakatta- Gustong Makita” and released its official music video on August 18, 2018 on It’s Showtime. Last Saturday, on the MNL48 debut single press conference, guests had an exclusive viewing party of the music video directed by Japanese director, Mr. Sho Makino, where the group also shared their experience in making their first music video. Considering that Sheki, Abby, Sela, Tin, Alice, Ella, Ash, Gabb, Jem, Sayaka, Faith, Lara, Grace, Quincy, Alyssa and Erica were only given a week to rehearse for this music video, they were all very happy to see that their hard work has paid off. 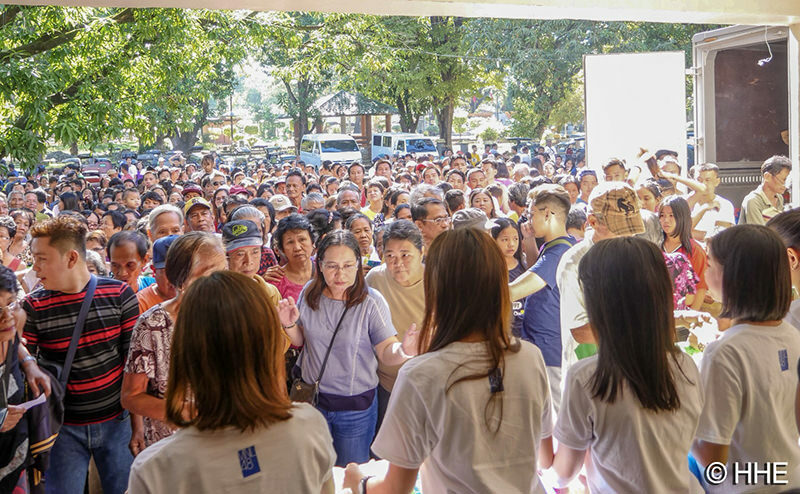 “Yung process po hindi talaga siya madali, but we were able to do it,” Center Girl Sheki said. Aitakatta – Gustong Makita is the Tagalized version of AKB48’s signature song, Aitakatta. The music video was taken in Manila Bay and Intramuros, one of the historical places in the Philippines. The group’s debut album also includes Tagalized versions of Sakura no Hanabiratachi – Talulot ng Sakura and Skirt, Hirari – Umiindak Na Saya. Moreover, fans that would avail their debut album will have an exclusive access to MNL48 upcoming handshake event that will be announced soon. Meanwhile, the MNL48 Fan Club app will be launched on August 25 where supporters can get an exclusive updates from their Oshi. Download the MNL48 Plus app available on App Store and Google Play Store for free. Follow the MNL48 official website and social media accounts to find out more about the newest idols. MNL48 has finally announced the release of their first single “Aitakatta – Gustong Makita”, a tagalized version of AKB48 song of the same title today, August 11, 2018 at Movie Stars Café. While on August 18, 2018, the group will have a live performance of “Aitakatta – Gustong Makita" and will reveal its music video on ABS-CBN’s noontime show, It’s Showtime. Based from AKB48's tradition on costume and album launching, MNL48 used the Japanese school uniform as the official costume for their first single which sung by the top 16 members, also known as Senbatsu, namely Abby, Sela, Tin, Alice, Ella, Ash, Gabb, Jem, Sayaka, Faith, Lara, Grace, Quincy, Alyssa, Erica, and the elected Center Girl Sheki. Meanwhile, the songs on the debut album will hit the digital platforms iTunes and Spotify on August 31, 2018. In addition, on August 31 “Aitakatta - Gustong Makita” official music video, directed by Japanese Director, Mr. Sho Makino will also air on MYX Premiere. In an interview with the director during the shoot of the music video, he said that he is very happy to be part of the first single of the group. He also added that the reason for choosing Intramuros and Manila Bay as their location because they wanted to showcase two of the historical places in the Philippines to the world. 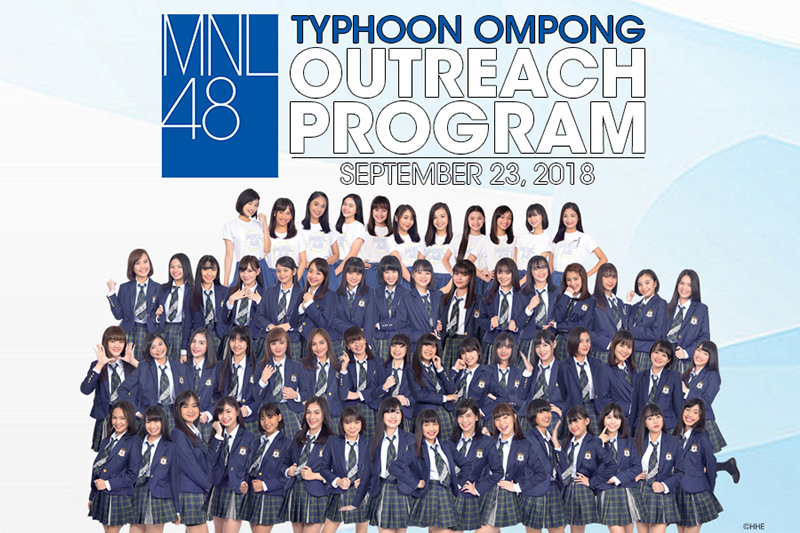 After the MNL48 first general election last April 28, the first generation members went through and still undergoing different rigorous development trainings such as voice lessons, dance lessons and personality development lessons as part of their journey as official members of MNL48. One of the highlights of their journey so far was when Center Girl Sheki, Team Captain Alice and Rans flew to Japan to watch the AKB48 53rd World Single Senbatsu General Election and just recently, the members underwent dance training with AKB48's choreographer, Moe Sensei, who visited the girls from Japan to train them for their upcoming single, music videos and future performances. 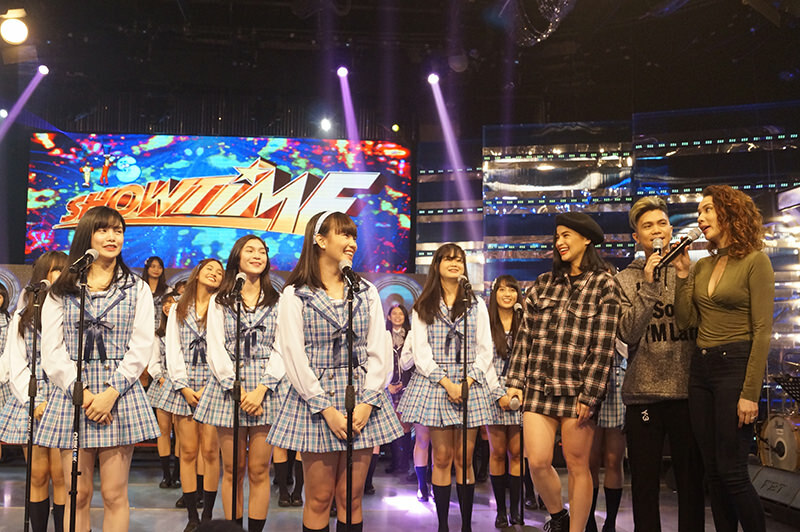 Following the MNL48’s own version of Sakura No Hanabiratachi last Saturday, another AKB48 hit single, Aitakatta was performed by MNL48 First Generation and Kenkyuusei on June 16 at ABS-CBN’s It’s Showtime. Donning their official costume, the girls continue to shine as new idols performing AKB48’s top-charting song translated into Tagalog as “Gustong Makita”. After their performance, Sela shared that they are preparing for the release of their first single and upcoming events. The annual AKB48 World General Election is the first international participation of MNL48 and will be joining other sister groups across Asia namely SKE48, HKT48, NGT48, TPE48, BNK48, and of course, AKB48. Through the votes of the fans, the yearly big event will announce the members who will join AKB48’s 53rd single. Regardless of Sela and Abby not attending the World General Election, they will still be training under the prestigious talent management of AKB48, AKS, together with the MNL48 Kami 7 in Japan. MNL48 First Generation has a lot in store for their fans, so for more of the latest updates on the newest and biggest all-girl idol group, follow the official website and social media accounts. MNL48 First Generation and Kenkyuusei sang its official rendition of AKB48’s Sakura No Hanabiratachi on national television for the first time on June 9 after the success of their first ever MNL48 Fan Meet at Centris Elements last June 3, 2018. Looking back, MNL48 performed on ABS-CBN’s noontime show It’s Showtime as MNL48 aspirants for 15 weeks for the past months to show off their singing and dancing skills to become part of the newest idol group in the country, where they underwent difficult challenges during their trainings and rehearsals. It’s Showtime hosts Karylle, Vhong and Anne also agreed that the girls have improved in terms of their performance as well as their looks compared to their previous appearances. Despite the hard challenges, bigger opportunities are lined up for them as they received an overwhelming support from their fans on their recent Fan Meet meet, where they first sang the Filipino version of AKB48 songs Heavy Rotation, Aitakatta and Sakura No Hanabiratachi. Meanwhile, everyone was surprised when Hallohallo Entertainment Inc. announced on MNLife that Trixie, Zen, Van and Mae decided to back out because of the challenge of not seeing their families every day, difficult trainings and to focus on their studies. Because of this, Ash and Ella are now part of the Kami 7, while Alyssa and Erica are the new members of Senbatsu. Rans, Nina, Andi and Coleen of Kenkyuusei on the other hand, became members of MNL48 from being trainees or Kenkyuusei to replace the four girls who backed out. Get the latest updates about MNL48; follow its official website and social media accounts. After the recently concluded First Generation General Election, MNL48 members and Kenkyuusei received an overwhelming support on their first official Fan Meet on June 3, 2018 at Elements at Centris. Everyone was excited to finally see their Oshi live especially now that they have fully transformed into an idol-like individuals in just a month of trainings and makeover as they begun their journey as MNL48 first generation. Aside from the members’ daily appearances on the newly improved MNL48 Online Update on their official Facebook page and YouTube Channel, now called MNLife and MNLaugh, the event was indeed special for both fans and the members since this was their first official gathering with their supporters after the announcement of first generation members last April 28 on ABS-CBN’s noontime show, It’s Showtime. 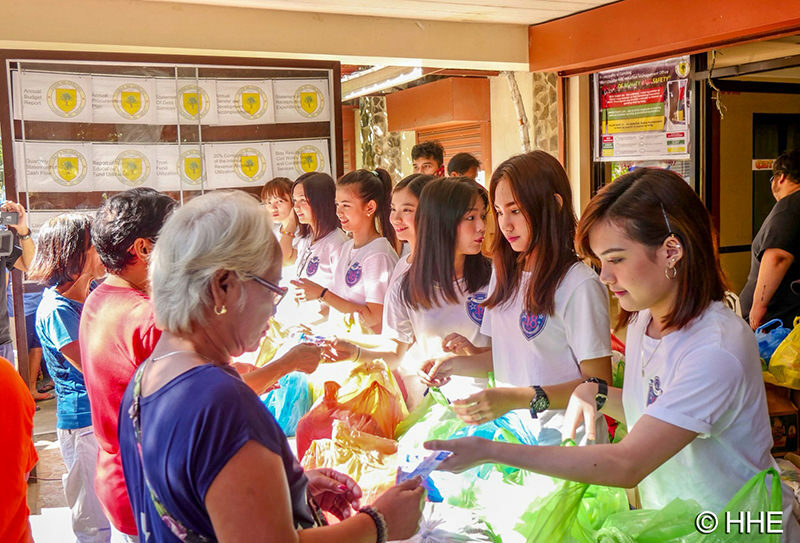 The excitement of the fans was evident even during the registration with some who headed straight to the merchandising booth upon their registration and bought MNL48 exclusive items including the MNL48 photo cards which later they excitedly traded with other fans inside the venue. When the Fan Meet started, the group did not disappoint the fans as they opened the event with their lively performance of the Filipino version of one of the AKB48’s hit song Aitakatta - this is the first time the girls performed the song in Filipino which made the event even more special. After their first performance, the girls then welcomed their supporters with sweet smiles and excitement as they introduced themselves one by one that earned loud cheers from the crowd. To make the event more fun and interactive, the girls picked random fans to join them on stage to play a game of Pick Pack Poink hosted by MNL48 First Generation members Lei, Dian, Ecka, and Erica while their co-members Shaira, Necca, Aly, and Joyce gamely played with the four lucky fans who won exciting prizes from one of the event’s sponsors, Mogu Mogu. After an exclusive interaction with the fans, the girls got emotional as they thanked their supporters who were with them since the beginning of their journey. 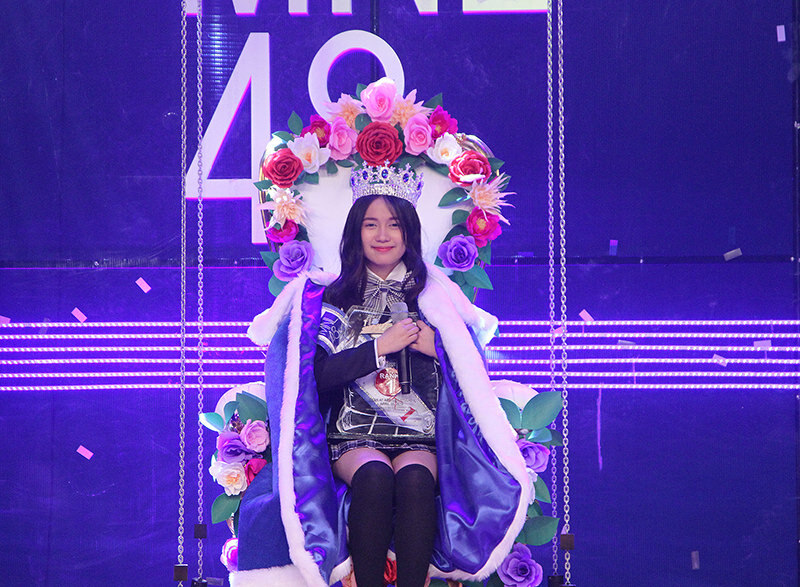 Alice, the overall team captain of MNL48, gave a heartfelt message to the audience and congratulated the whole team for the successful event. 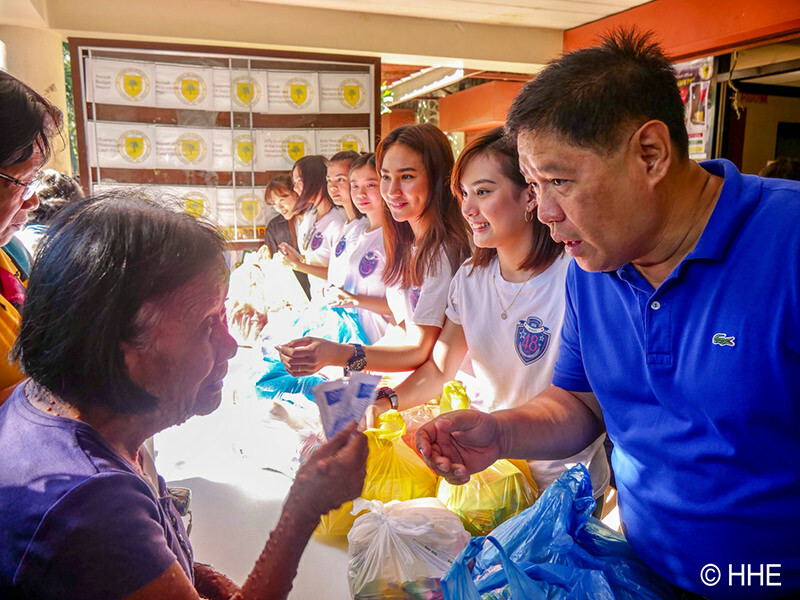 “Maraming maraming salamat po sa tulong niyo para mabuo po ‘yung pangarap namin,” Alice expressed. Meanwhile, MNL48 Center Girl Sheki was overwhelmed with the support that the group has been receiving. “Sana ‘wag niyo po kaming iiwan hanggang dulo. Thank you po sa lahat ng effort niyo and sa time niyo na binibigay sa amin. Kayo po ‘yung nagiging lakas namin kaya nagagawa po namin ang lahat,” said Sheki to everyone who joined them for this special occasion. During her speech, Sheki was also thrilled to share that the Kami 7 will soon fly to Japan to train and hone their talents as idols and prepare for their upcoming debut single, and informed every one about the MNL48 Theater that will open very soon. She also added that they will be attending the AKB48 53rd Single World General Election to be held in Nagoya on June 16, 2018. When the crowd thought the event was already done, the Senbatsu slay the stage with their exclusive performance AKB48’s song, “Heavy Rotation”, and to capture the special moment at the first ever fan meet, five lucky winners of Fujifilm Raffle had the opportunity to have a picture taken with their Oshi using Fujifilm Instax. More surprises were announced during the event including the launch of the MNL48 Fan Club. Faith, Ash and Alice briefly introduced the app which features news updates of the members, upcoming events and singles, and theater ticket reservations and announcements. For their final song, MNL48 First Generation and Kenkyuusei closed the event with a special performance of the Filipino version of AKB48’s first highest debut single “Sakura No Hanabiratachi”. Sheki then bowed to everyone as a sign of her gratitude on behalf of the group. The event officially ended as the girls visited the Merchandise booth and thanked the supporters for the last time. To get the latest update on MNL48, make sure to follow and subscribe to their social media accounts and download the MNL48 Fan Club App for free, available on Apple Store and Google Play. The 1st General Election for the newest AKB48 sister group and the biggest idol group in the Philippines, MNL48, took place on April 28 at Studio 4 and Center Road in ABS-CBN. 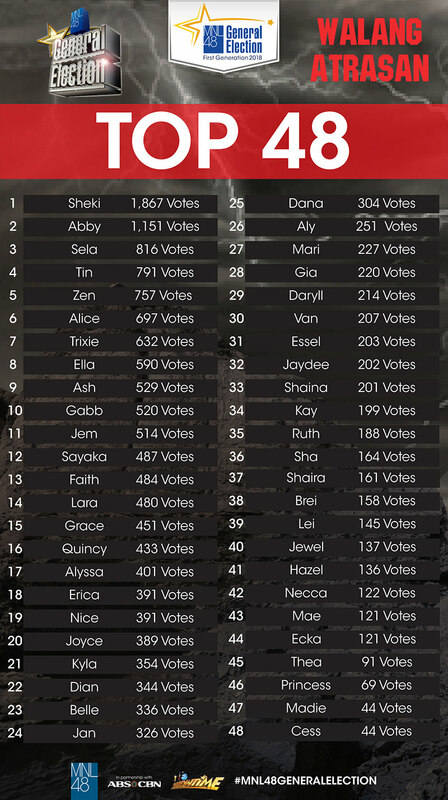 The crowned center girl of this year's election was Sheki while rank 2 and 3 went to Abby and Sela followed by Tin at rank 4, Zen at rank 5, Alice at rank 6, and Trixie joined the Kami 7 (rank 1-7) at rank 7. “Yung una po talaga pumasok sa isip ko is si Lord po talaga kasi po kundi dahil sa kaniya, wala po ako sa kinakatayuan ko po ngayon.” Sheki said when asked what first came into her mind when her name was called as center girl. “Ang mapapayo ko po sainyo, kapag may pangarap po kayo wag kayong susuko. Kung madadapa po kayo ngayon, dadating po yung right time. Kung hindi man po ako ang center girl ngayon, siyempre ipagpapatuloy ko pa rin po yung ginagawa ko, magttry and magttry pa rin po ako and gagawin ko po yung best ko para po mapanatili yung pagiging top ranker sa MNL48,” MNL48 center girl continued. 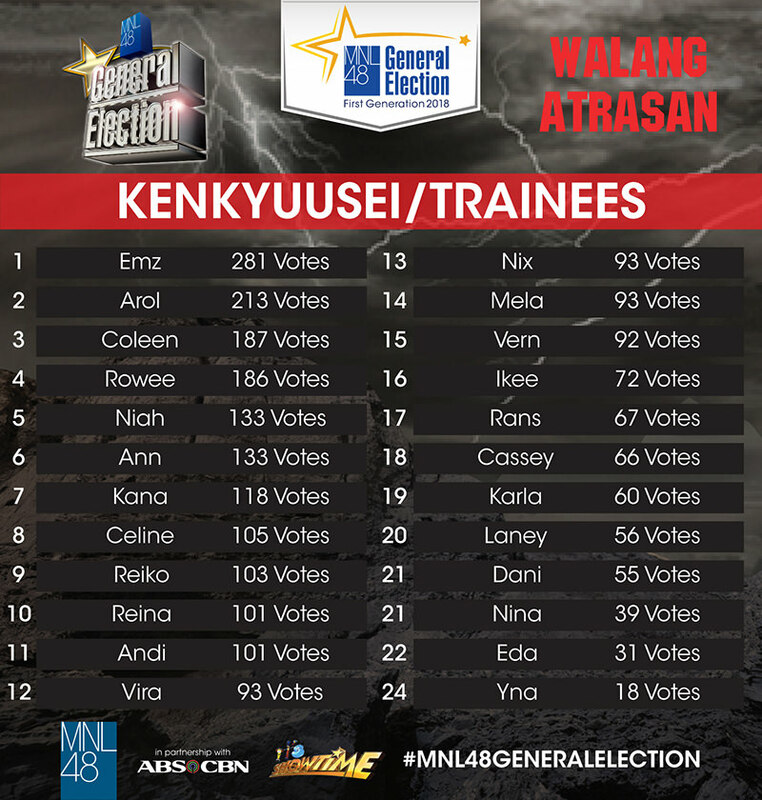 The ranking of the First Generation members were based from the votes they earned on the MNL48 Plus app during the General Election voting period from April 14 to April 27 until 1PM. To cap off the historic event, the first generation members were later on presented to the fans for the first time at Center Road with live coverage on MNL48 official Facebook page and YouTube Channel. Each member was given a chance to thank their supporters and answer some of their questions. The announcement of Senbatsu (Top 16) was televised live on Its’ Showtime during the MNL48 segment while the reveal of rank 17th to 48th, and Kenkyuusei were aired on MNL48’s Online Update on its official Facebook page and YouTube Channel. Meanwhile, big opportunities await our MNL48 First Generation members. The group will be performing daily at their very own MNL48 Theater, will have their music recording under Star Music, and international training under AKS, the prestigious talent management of AKB48, and will be the first Filipino endorsers of Tokyo Girls Collection that will soon open in the Philippines.